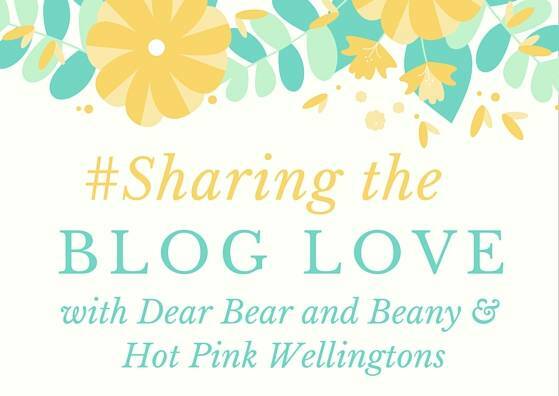 Welcome back to my Sharing the Blog Love linky, which I co-host with the lovely Katy from Hot Pink Wellingtons. Katy and I were overwhelmed that 36 of you came and joined us for our first week, thank you so much. Katy and I really want to build a lovely community with our linky and get everyone to Share the Blog Love and we can only do that with all of you taking part. I have to say it was difficult choosing just 4 posts to showcase this week and I nearly cheated and had more. But, I didn’t think I should break my own rules, especially on week one! I hope you enjoy reading the showcase posts as much as I did.